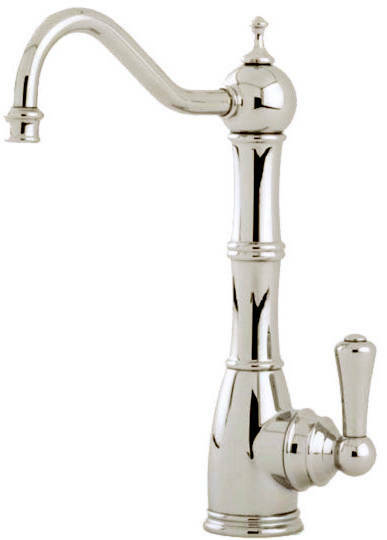 Perrin & Rowe Aquitaine > Mini Boiling Water Kitchen Tap (Pewter). Perrin & Rowe Aquitaine traditional mini filtered boiling water kitchen tap in pewter with tank and filter. Easy to use lever handle. Instant boiling hot water so no need for a kettle. Ideal for making tea, coffee and soups. 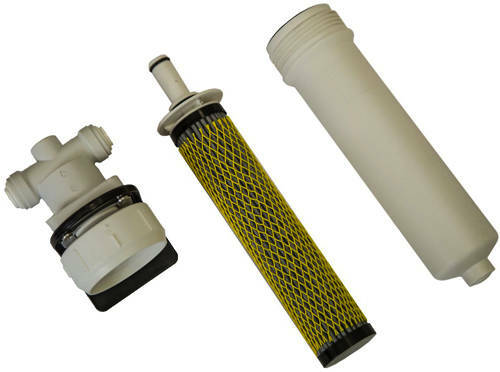 1/4 turn ceramic disc flow control. 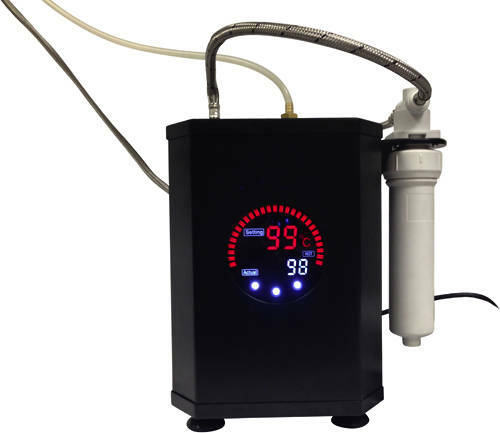 High quality cartridge removes all chemicals, bacteria and other contaminants. Water saving, time saving and energy efficient. Multiple pre-set temperatures ranging from 75°C to 99°C. Compact high quality heater tank with digital display (2.4 litre tank capacity). Operates from as low as 1.5 bar pressure. Produced from quality low lead brass. Plated to a thickness that exceeds the industry standards. Finish: Pewter (a brushed Nickel finish to perfectly complement stainless steel sinks and appliances). Hand crafted in the UK. 5 years Perrin and Rowe guarantee. The Perrin & Rowe Aquitaine range of boiling water kitchen taps are made in the UK to the highest standards, have a traditional classic design and look great on any sink. Perrin & Rowe kitchen and bathroom taps are manufactured in the UK from the highest quality raw materials available. Formed in 1978, Perrin & Rowe have achieved a sustained level of growth and innovation that few other British companies can claim. The quality of the internationally acclaimed brands that they produce, Perrin & Rowe and Triflow along with their ground breaking developments in water filtration technology and product design have established them as a leader in world-wide brassware industry.